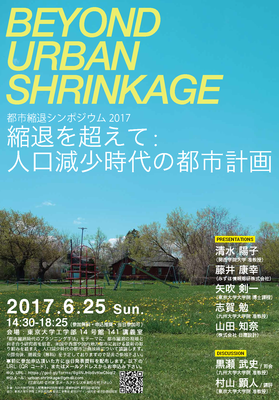 Symposium related to retirement of Prof.Y.NISHIMURA "Urban design for Identity - the Research and the Practice"
Symposium 1, one of the related events to final lecture of Prof. Yukio Nishimura, will be held in 21st, December, 2017. 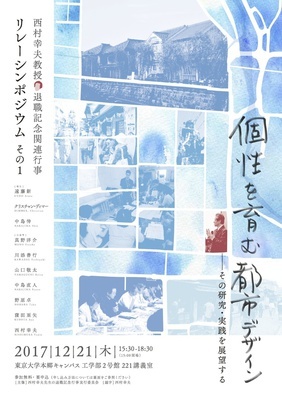 Symposium 1 "Urban design for Identity - the Research and the Practice"
If you have any question, please contact to contact@ud.t.u-tokyo.ac.jp . Symposium 2 "The Evolution of Urban Conservation in Asia"
Symposium 3 "Urban Design with the Historical Resources"
Urban Design Lab. 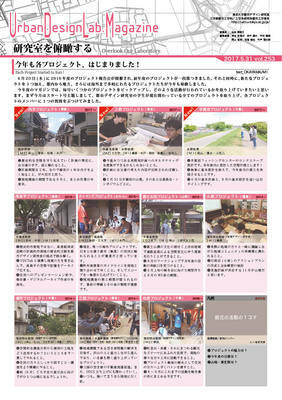 Magazine vol.258 "Autumn with the New Wind!" 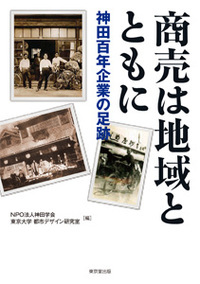 Lab.Magazine Vol.255 "Now, Look back your roots." 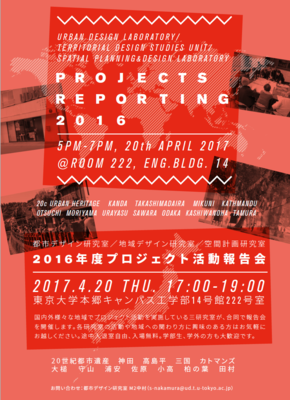 Lab.Magazine Vol.255 "How has been Your Progress?" UD Lab. 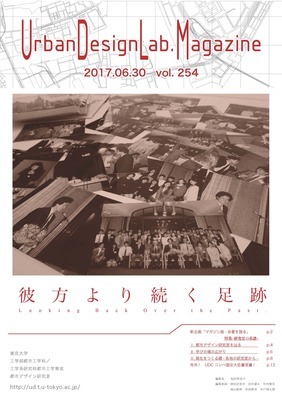 Magazine,254th "Looking Back Over the Past." Lab.Magazine Vol.253 "Overlook Our Laboratory." 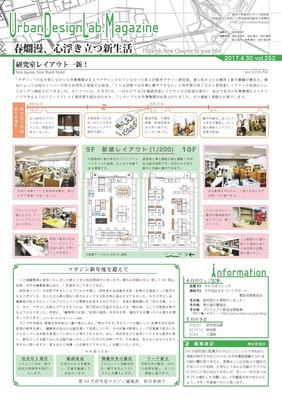 We published Lab Magazine vol.252 "Overlook Our Laboratory". It would be great if you can take the time to look through it. ●Each Project Started to Run! 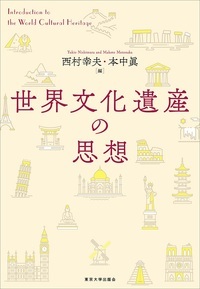 ●Interview with Ms.Ikarashi, a Technical Staff, And Ms.Suzuki, a Secretary. Lab.Magazine Vol.252 "Flourish New Chapter in Your Life!" 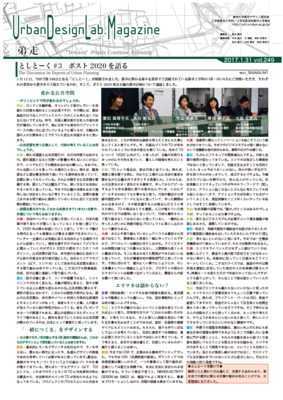 I attached Lab Magazine vol.252 "Flourish New Chapter in Your Life! " 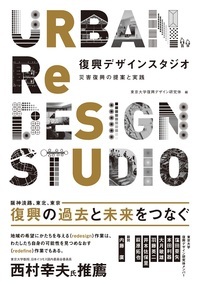 Lab.Magazine Vol.251 "Messages for Dear UDLab. 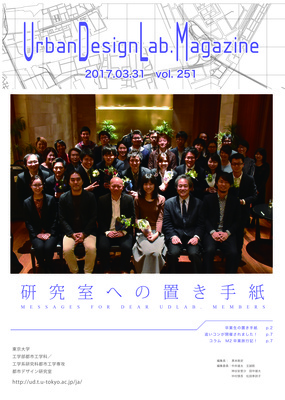 Members"
I attached Lab Magazine vol.251 "Messages for Dear UDLab. Members"
UD Lab. 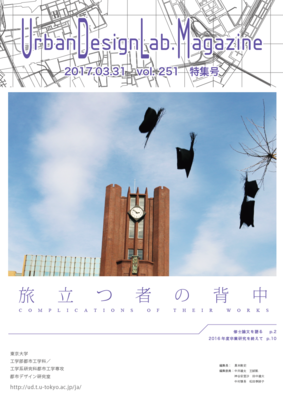 Magazine,251th "Conplications of their works"
UD Lab. 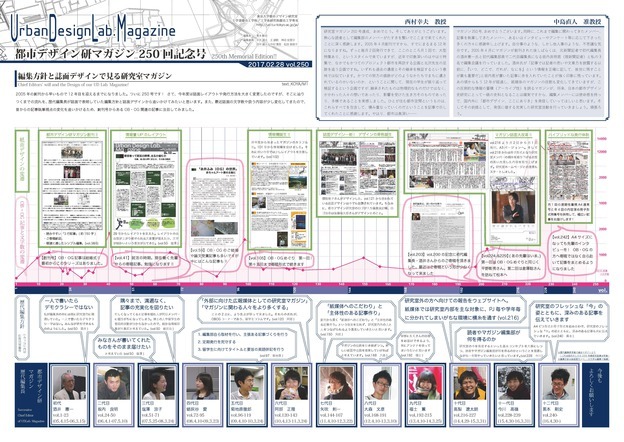 Magazine,250th "250th Memorial Edition!!"